Open your eyes and celebrate a dazzling world of colors in this imaginative rhyming board book with colorful tiered pages and a clever die-cut shape that looks just like a rainbow! 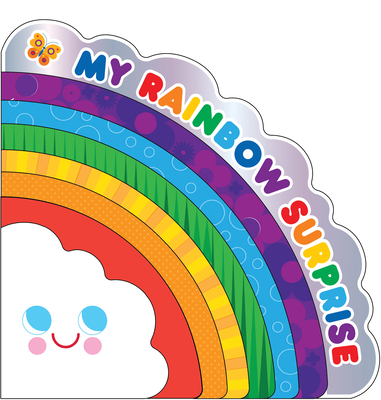 My Rainbow Surprise is sure to delight curious readers of all ages with its irresistible rainbow theme, rhyming text, foil title, and eye-catching illustrations by the talented Anna Dunn. A chunky, satisfying novelty board book that celebrates every color of the rainbow! Amy E. Sklansky is an author of many books for children, including You Are My Little Cupcake and You Are My Little Pumpkin Pie, both illustrated by Talitha Shipman. Amy lives with her husband and two children in St. Louis, Missouri. Anna Dunn is an illustrator and designer based in London, UK. Visit her online at annadunn.com.